Home / Blog / Giving thanks. 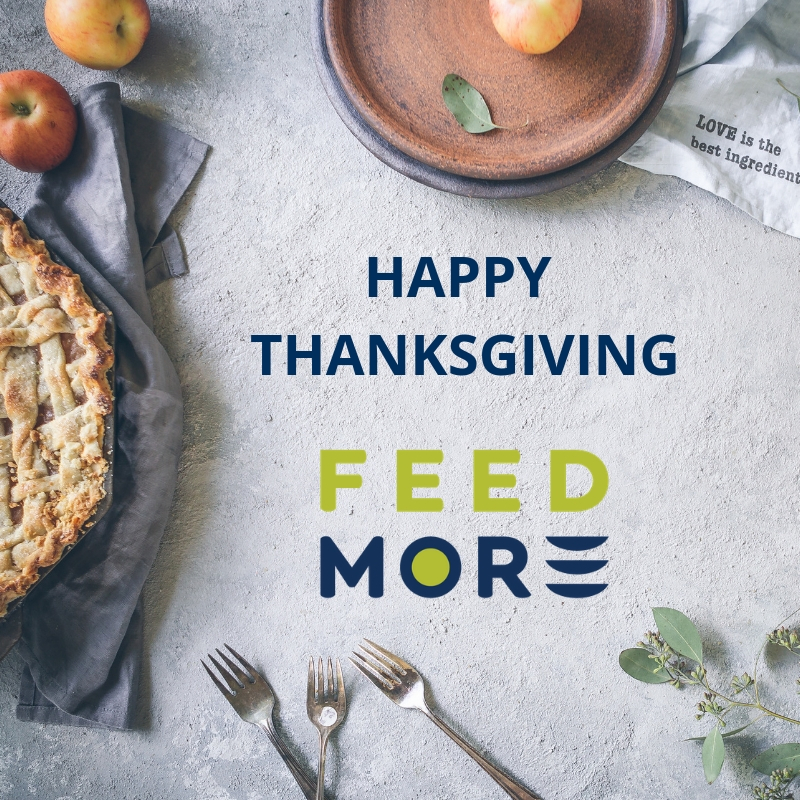 From all of us at Feed More, we hope you have a very happy, and healthy, Thanksgiving! Whether you’re spending the holiday with family, friends or anyone in-between, we hope you are able to enjoy a delicious meal and give thanks for the many blessings that surround us each and every day. At Feed More, we are grateful for our dedicated staff, passionate volunteers, dependable agencies, generous donors and supportive community partners for all that they do for our mission. Without their commitment, we could not collect, prepare and distribute food to the nearly 200,000 neighbors in our service area who face hunger. One in seven adults and one in six children struggle with hunger in Central Virginia, and with the support of our community, we are working hard to provide families across our service area with a hand up in their times of need. With the giving season upon us, there are many ways to get involved at Feed More and give back to our mission! Consider becoming a Community Champion by hosting an online fundraiser. You can also organize a food drive and collect some of our most needed items to help our neighbors in need. If you would like to volunteer, check out the many ways you can volunteer and complete a volunteer application. Attend a community event that benefits Feed More, while at the same time is fun for you and the whole family. Your involvement will make an immediate, and positive, difference in the lives of those that we help across Central Virginia, for which we are extremely grateful.